Industrial automation counts on the reliable motion control that linear actuators provide. Lately, electric linear actuators have gotten more popular because they offer better control of variables like speed, acceleration, position and force than pneumatic or hydraulic cylinders. Electric actuators also offer superior accuracy and repeatability, as well as programmable control that can handle even complex motion profiles. In many applications they can do all this at a lower cost of ownership than pneumatic or hydraulic actuators. Now there’s a resource from Tolomatic that lays out all the issues a designer needs to understand in order to select the best electric linear actuator for an application. You can download a copy of our ebook resource HERE. New website features Harmonic Planetary® and Harmonic Drive® Quick Connect® gearheads (HPN, HPG, HPGP, CSF-GH, CSG-GH, HPF and HPG-U1). Developed with the design engineer in mind, the new website features a robust product selector tool, PDF and DXF CAD drawings, as well as download-able 3-D solid models. 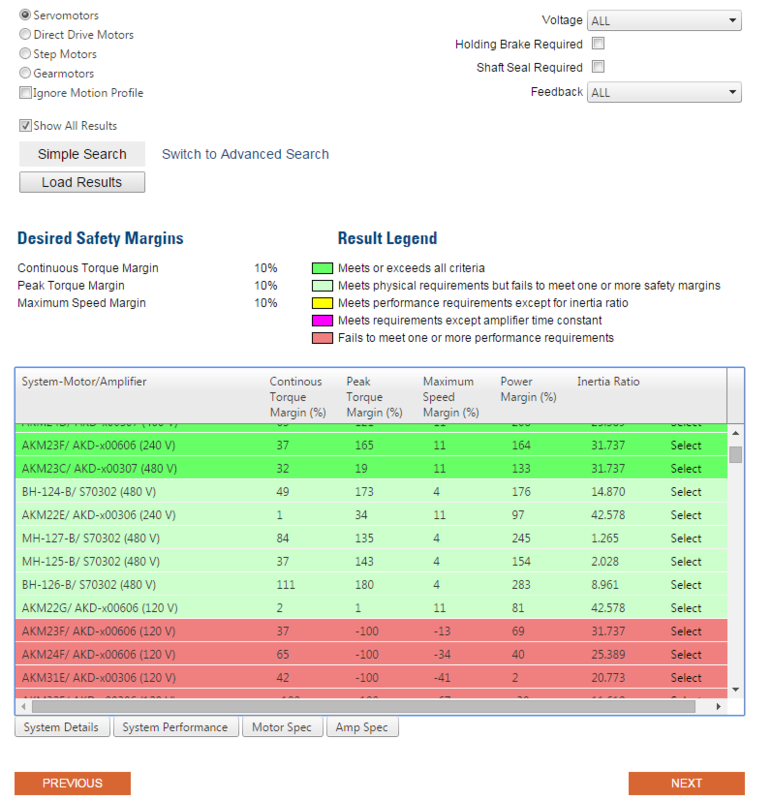 The Product Selector Tool enables the design engineer to quickly filter through Harmonic Drive product specifications to find the right gearhead to connect to their servomotor. Kollmorgen offers various electronic motor drives with advanced control technology, multiple fieldbus connectivity options, and control interfaces. Choose from a broad selection of servo drives in a wide range of input voltages and output power levels. Kollmorgen drive technology is enhanced when used with both our motor designs and automation controllers. Configuration and programming software is integrated with drive and motor combinations. Kollmorgen drives are also versatile and can run a broad range of standard and specialty motors with various feedback types. Kollmorgen drives adapt to changing technology and many integrate directly with safety solutions to meet new machine safety directives. Connectivity is a key aspect in machines so fieldbus options are plentiful. Kollmorgen support many popular ethernet fieldbuses like EtherCAT, Ethernet /IP, Profinet, and SynqNet. Support for traditional fieldbuses is available on certain models as well, including Profibus, Devicenet, CanOpen, RS485, RS232, Sercos II and Sercos III. Kollmorgen’s family of permanent magnet brushless motors offer an extremely wide variety of size and package types. From frameless pancake motors to high acceleration housed/shafted motors, Kollmorgen offers the most complete range of high performance motors available today. When you combine our vast selection of motors with our family of high performance servo drives, we can satisfy your most demanding application requirements and help you build a better machine, faster. To assist with the sizing and selection of Kollmorgen’s AC Servo Motor + Drive Systems, Kollmorgen announce the release of MOTIONEERING® Application Engine 6.4.0 – Kollmorgen’s Free premier motion sizing and selection software. This release features the new KBM™ Series Frameless Kit brushless motors with our AKD™ servo drive family, complementing their existing rotary and linear actuation systems. Sizing frameless motors and drive systems has never been easier. Using a mechanism project concept for collecting and saving multiple axes of load information,MOTIONEERING® can automatically calculate application results and compare against a database catalog of systems – recommending to their customers the most optimized set of Kollmorgen system solutions available. The MOTIONEERING® software sizing engine has the flexibility to sum the effects of multiple axes of motion for power supply and shunt regeneration sizing (rotary applications only). Versatile units-of-measure selection options for mechanism and motion profile data-entry, with the ability to convert data into other available units, makes this a convenient international tool. A user-friendly Help file teaches program functions and algorithms used to provide results. Harmonic Planetary gears have simultaneous meshing between the sun gear and planet gears and between the planet gears and the internal gear. The sun gear is connected to the motor and a carrier, supporting the planet gears, is connected to the output. Single stage planetary gears can achieve reduction ratios up to 10:1. Ratios above 10:1 utilize a two stage design where the carrier of the first stage drives the sun gear of the second planetary stage. Harmonic Drive® gearing utilizes a unique operating principle which is based upon the elastic mechanics of metals. The greatest benefits are the zero-backlash characteristics and the weight and space savings compared to other gears because our gear mechanism consists of only three basic parts. They are the: Wave Generator, Flexspline and Circular Spline. See a video demonstrating how the Harmonic Drive HPGP Harmonic Planetary gears work Watch Video. Announcing MOTIONEERING® Online – Kollmorgen has revamped, modernized and put online one of the most respected applications sizing programs of the last 20 years. You now can access this application sizing and selection tool where ever you have access to the internet. This initial launch of MOTIONEERING Online is just a start of a series of releases that will empower you to optimize solutions for your toughest applications. Sizing frameless motors and drive systems has never been easier. Using a mechanism project concept for collecting and saving multiple axes of load information, MOTIONEERING® Online can automatically calculate application results and compare against a catalog of systems – recommending the most optimized set of Kollmorgen system solutions available. Versatile units-of-measure selection options for mechanism and motion profile data-entry, with the ability to convert data into other available units, makes this a convenient international tool. A user-friendly Help file teaches program functions and algorithms used to provide results. GAM’s new Sizing Tool makes it easy to find the right gear reducer, coupling, or linear mount product compatible with your motor. Simply select your motor, adjust the ratings based on the application, and narrow down the products that match. Over 9,000 of the most popular servomotors on the market are available for selection. After choosing a motor, easily narrow down the list of matching products by filtering attributes. Try Gam’s New Sizing Tool now at the link below. What is the difference between Round Rail and Square Rail? How do you know which one is more appropriate for a given application? How do you size them? Learn the basics of Linear Guide technology and how to size them for your next application. 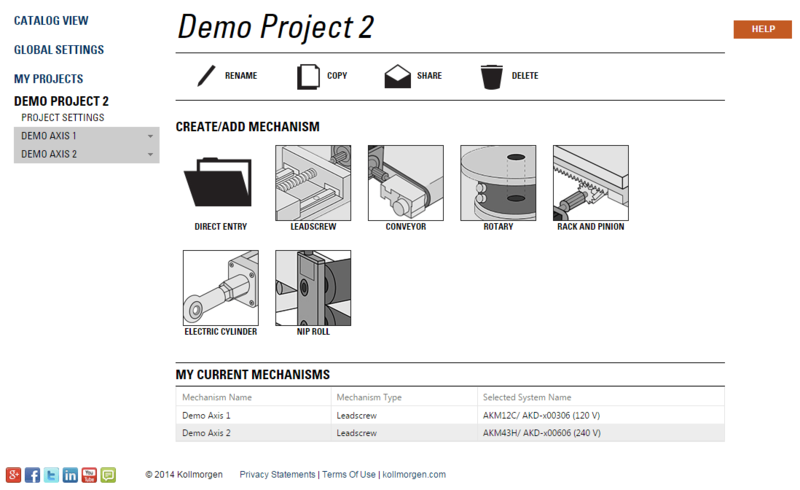 Get a guided tour through the new online Linear Guide Component Tool. Click on the link below to watch the Webinar.